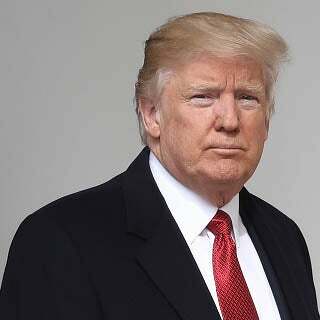 RUSH: The biggest news (the Drive-Bys would have us believe) today is the fact that the special counsel, Mueller, wants to question Donald Trump. That’s the biggest news because they think there’s no way that Trump can refuse, and they think that Trump cannot avoid lying. Trump lies when his lips move, and therefore Mueller could get a process crime, and we might be able to get rid of Trump before the end of the year. That’s their dream, all of it predicated to Trump sitting down for an interview with Mueller. 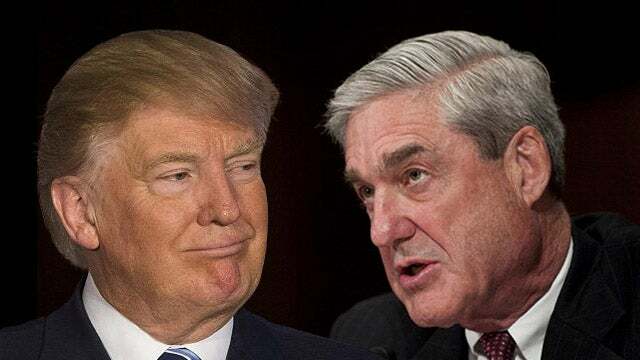 RUSH: There are conflicting opinions on whether or not Trump has to talk to Mueller, whether he should. He shouldn’t. If you ask me, don’t do it. I don’t care what format, I don’t care what circumstance, don’t do it. There’s nothing to gain. Especially if they’re off the collusion business, there’s nothing to gain by talking to Mueller. 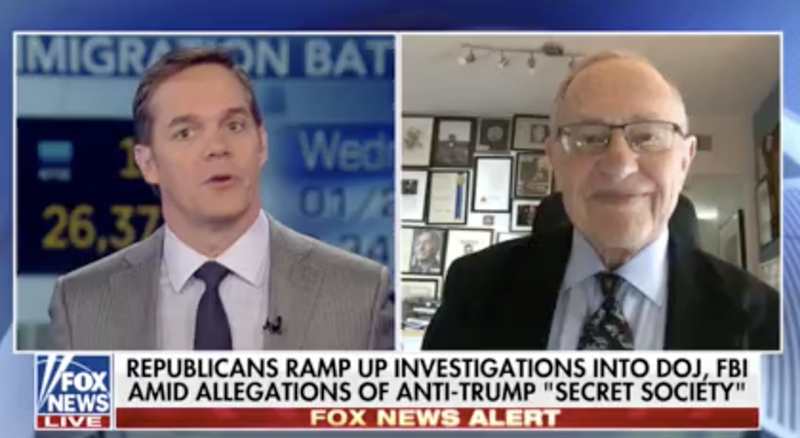 But I was watching Professor Dershowitz today, and Professor Dershowitz made it sound like there’s no way Trump can get out of it. Judge Napolitano, I thought, was saying much the same thing. But then there’s part of me saying, “Well, claim executive privilege?” It’d be a bad move politically. He could essentially… By claiming exec-privilege, what are you doing, pleading the fifth? Screw you? Trump could, I’m under the impression, say, “You want to talk to me? Fine. You’re fired. Get out of here. I’m not talking to you. I’m your boss. I don’t work for you. Scram! You’re making a mess of everything anyway. Get outta here.” Can’t do that. That wouldn’t be politically wise. So I don’t know. RUSH: The big news of the day, according to the Drive-Bys, is that the independent counsel wants to question Trump. Now, we’ve known… This has been circulating out there for a couple weeks, but they’re acting like, “Wow. This is it. This is the big news drop of the day.” This has been circulating out there for at least two weeks that Mueller has been thinking about or intending to or wants to interview Trump. And what we learned today from the Drive-Bys is that Mueller apparently wants to ask Trump about the Michael Flynn situation and the firing of Comey. Now, if that’s true — and it’s a big if. But if that’s true, it indicates that Mueller is on to the obstruction portion of the investigation and may have set aside the collusion angle, meaning the allegation that Trump colluded with Putin to steal the election from Hillary. Now, unless the media is purposely misleading here, it would seem to be that if that’s what Mueller wants to talk to Trump about and not collusion… It would make sense. There wasn’t any! I mean, everybody knows by now. Everybody knows. You won’t find the Drive-Bys admitting it point-blank, but everybody knows that that whole gambit of the Trump dossier and Trump stealing the election by working with the Russians, there was never anything to that. It was an attempt. They did their best to make it a real thing. They did their best to make people believe it. They did their best to force Trump out of office and people leave his employ and so forth, but it’s clear. The only indictments that have occurred against people not anywhere near that time frame. The Manafort indictment’s from 2016. This is nothing to do with collusion. Now, in my layman existence here… I mean, I know a little bit more about the law because my dad was a lawyer and my cousins, uncles and stuff were judges. And I know a lot of big time, famous lawyers now. But I would not profess to be a legal expert. It seems to me that this is a process crime/perjury trap, and if I were Trump’s lawyers, I wouldn’t let him get anywhere near this! In the first place, Trump improvises as he goes. You know, if the interview is just with Trump and his lawyers in a relaxed setting with Mueller and his anti-Trump investigators, that’s one thing. But if it’s a grand jury appearance which I don’t think it is yet. But if it’s a grand jury appearance, then Trump’s lawyers can’t go in there (snorts) and you tell one little lie in there and you are done. You’re under oath, and you have no assistance. You have no aides. You have nobody in there that can help you. You have nobody in there to tell the prosecute he can’t ask the question, ’cause the prosecutor owns the grand jury. So, no, you don’t do that. If it’s just an interview… This may surprise some people. If it’s just… I say “relaxed.” If it’s just an interview in somebody’s office and you have Mueller and a couple of his investigators and Trump and his lawyer — even if the session is not formally under oath, they can still circle back and get you for lying to them, if they think that you have. Even though it isn’t under oath. If you agree to this kind of a sit down. And while some people think that would be the best way to go because there’s no pressure… You have the questions in front of you, and then you write your answers down and you review them. You edit them, and you don’t submit them until you are fully, fully confident that what you want to say and what you don’t want to say is in your answer. The problem, again, in my layman’s view of this is those written answers — whoever writes them — are, for legal purposes, written by Donald Trump. And anything he writes down can then be used as a springboard for any other avenue or branch of the investigation. That points up another thing. They have… If Trump’s gonna do this, they had better get some really serious limitations on scope, on time. “Okay. 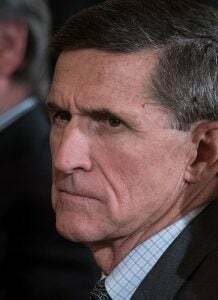 You want to talk to me about Flynn and you want to talk to me about Kelly. But we’re not talking about the dossier. We’re not…” They can try to set the parameters. I just think it’s a rotten idea. It’s just a perjury trap, and this is the benefit of the doubt, but even if Mueller’s not setting it up as a perjury trap, it still is one. They don’t have anything on Trump colluding with the Russians, and even if they did, that’s not a crime. They don’t have any evidence that the election was rigged, that Trump knew about it and worked with the Russians. They don’t have any evidence. So why would you give them another avenue to come at you? Which is, of course, this obstruction angle. Now, some in the Drive-By Media are speculating that this request from Mueller to talk to Trump about Kelly and firing Comey could mean that Mueller is near wrapping up his investigation. But again, I am on record as having said that I don’t think Mueller’s gonna wrap this up much before the midterm elections. The whole point of this is to get rid of Trump! Now, I also heard Professor Dershowitz today. He was on Fox. He was specifically asked about Mueller. He said (paraphrased), “Look. I’m gonna tell you what I really think. I don’t think Mueller cares where this goes. I don’t think Mueller cares whether Trump’s innocent or guilty or Hillary’s guilty or innocent. I don’t think he cares. “He’s just gonna take it to where it ends up. He doesn’t care. He’s a Republican, he’s a long-standing Republican, and he’s one of these guys that’s just gonna follow the evidence wherever it goes, and where it goes, that’s where it is, and that’s what happens. He’s not got a significant amount of prejudice or bias here.” Well, that may be, but it can’t be said of his investigators. He’s got 16 — well, now maybe 15 since Strzok is gone. But he’s got 15 virulently anti-Trump people working for him who would no doubt be in on any kind of an interview, sit-down, Q&A. I was a little taken aback. I have no reason to doubt Professor Dershowitz, but I find it difficult for any human being to be that detached. A thinking, engaged human being who cares about the outcome of events every other day of the year, I just find it really hard to believe that anybody that informed, educated, engaged can then have an ambivalent attitude about where an investigation the ends up. But that’s what we’re led to believe. We’re led to believe that law enforcement is exactly that; they’re unprejudiced, they’re unbiased. They certainly aren’t politicized, and they follow the facts, ma’am, and they get their guy. They get the bad guy, and that’s what they do. And if you have nothing to worry about, you shouldn’t have a fear in the world of talking to ’em. If you didn’t do anything wrong, you should have no fear because law enforcement is not interested in you if you’re innocent. That’s the reputation they have enjoyed/benefited from my whole life. But the real world intercedes at some point, and we find out that’s not true, either. There’s nobody above that fray in that regard. But then again there’s another aspect of this. Let’s look at one more thing: What we are learning about the investigation. What we have learned about Strzok. What we have learned about Strzok and Lisa Page. What we have learned about the involvement of Comey. We have learned about the corrupt nature of this entire investigation. 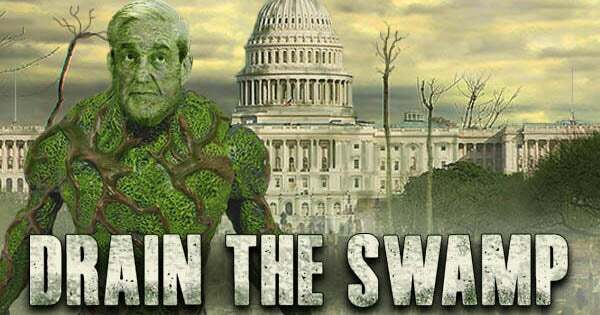 We have learned that the deep state made it all up! We’ve learned the deep state used a phony opposition research document, more than likely, to secure a warrant to spy on the Republican presidential candidate and then the Republican presidential-elect and then the Republican president. We know that this all happened. We know that Obama was culpable and involved in making sure Hillary wasn’t indicted. We know that there was collusion between the Hillary campaign and the Russians by way of Fusion GPS. It could be — and this is a way-out-there example, too. It could be that Mueller might decide to wrap things up quickly because of how close other investigators are getting to what his investigation has been doing. I mean, there are now legitimate calls for a second special counsel to investigate this one! That’s how out of hand this has all gotten. This is how corrupt this entire process has become. It’s way out there, but it’s possible that Mueller might want to wrap this up just to limit what else anybody learns about it going forward. Especially if they don’t have anything on Trump-Russia collusion and if they’re searching for process crimes. But one thing I do not doubt — and this is what I want to leave you with in this so. There’s one thing I do not doubt, folks. I do not doubt that the original energy and desire to deny Trump the presidency and then to destroy his campaign, destroy his transition and destroy his presidency… In other words, the effort and the energy put into it to get rid of Trump has not waned in any measurable way. It is just as intense. The people involved want to get rid of Trump today as much, if not more than they did when all this began. There has been no let-up, in my humble opinion. I don’t care what we have learned about this investigation, the corrupt nature of it, the missing texts, the culpability of Obama, the dishonesty of all these people. It hasn’t fazed them. They still view themselves as in charge. They view themselves as in control, and I think they view themselves… I’m talking about these deep state people. They view themselves as untouchable. They don’t think we can get to them. They don’t think that they’re actually going to… Even if they get caught, nothing’s gonna happen. And, as such, I think they are just as hell-bent on getting rid of Donald Trump today — and maybe more so than ever — given the overwhelming success that Trump has had in unraveling the Obama administration and much of its regulations and Obamacare and promoting economic growth that was never intended to happen, folks. The Democrat Party did not want this kind of growth to happen, certainly not when they weren’t in the White House. The effort, the desire to get rid of Trump is as strong as ever. RUSH: So I get a note from a friend, “How in the world could you or anybody think that Mueller’s about to wrap this up when the Manafort trial doesn’t even begin until later this year?” And I had to say that’s actually a good point. So, as I said, I don’t think Mueller is gonna end this any time soon, and certainly not early enough before the midterms in 2018 for people to forget it, because — and I cannot emphasize this enough. The way the public consumes knowledge about these investigations, keep in mind, folks, that at least half of the country doesn’t know about Strzok and Lisa Page, and they don’t know about missing texts, and they don’t know about all of the corrupt allegations about this investigation, ’cause their Drive-By Media is not reporting this. Don’t doubt me on this. You know, you who listen to this program or watching Fox News, you are fully informed on things about this investigation that whatever percentage of the country that watches the Drive-Bys, literally have no idea. They don’t know there’s any controversy in this investigation. They don’t know that there are missing texts from a very crucial period. The only way they might know is if they read Trump’s tweets about it, and they think Trump’s insane. So while you might get the impression this thing’s winding down, there hasn’t been anything found, don’t doubt me. These people have not stopped, and they’re not going to stop throughout the rest of this year doing everything they can to get rid of Donald Trump. Do not think anything other than that. RUSH: I just had a note: “Did you see the headline on Drudge?” I said, “Yeah, I see the headline on Drudge. The headline on Drudge is, “Collision Course: Congress Tightening Noose on Investigation,” and what this means is that members of Congress… We’ve got the memo, remember? We’ve got the four-page memo. Trump is thinking authorizing the release of the memo — the memo that has been seen by every member of Congress. I’ve talked to a couple of them who’ve seen it. They say it is bombshell. They say it is scary. They say it features the kind of authoritarianism that you would never believe possible in this country. I want to reemphasize a point that I just made. Whether we’re talking about individual people in the intelligence community — and, folks, who could that be? The CIA. The NSA. The FBI has clandestine agents. 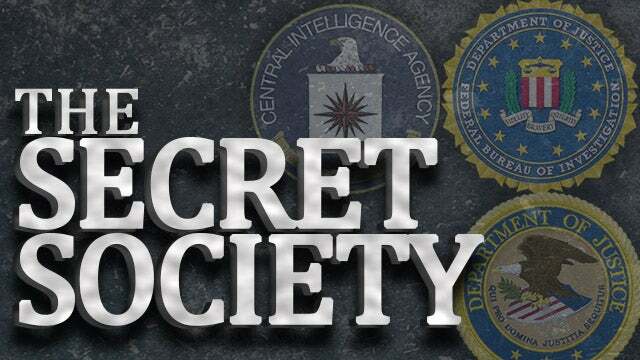 We have agencies of this government that have spies that are working in this country and around the world. So to be able to categorize the intel community, it would be difficult to identify just one group. I mean, it is one group, but they are widely employed by a bunch of different agencies and organizations, and then they have contractors that are hired. You know, Edward Snowden was a contractor working for the NSA in Hawaii. He was not a hired, salaried employee. He was a contractor, and he ended up having access to all kinds of data. We know how that went. The point is, these people — and I’m sure Lisa Page and Peter Strzok and all these people on Mueller’s team think they are untouchable. They think nothing is going to happen to them, no matter what is discovered. But they don’t think that what they’re doing is gonna ever be fully discovered or exposed. They’re not quaking in fear as each day here goes by, as Congress seems to be getting closer. You add to this that over 40% of the country doesn’t even know about this, because none of this or very little of this is being reported. But these people collectively and individually really do consider themselves way above the fray of all this. They may as well be atop the Eiffel Tower looking down at all of us ants scurrying around down here. We don’t know how to get up to where they are and therefore we can’t identify who they are. 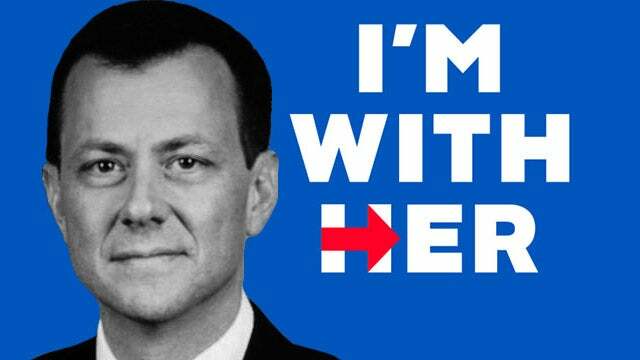 But I’m just telling you: Attitudinally in terms of arrogance and confidence, in their minds, there’s nothing… Look at Strzok! The guy was discovered to have been having an affair! That means he was in a blackmail-able position. All he ends up being is reassigned. All the rest, too. Bruce Ohr? Same thing. He was found to be culpable, and his wife in a compromising position. She working for Fusion GPS. Obvious conflicts. Nothing happens to these people. They’re protected, and they know it, and while they covet and harbor this confidence and this cocoon-like safety of ever being held accountable, they continue their work of undermining whatever it is they want to undermine to achieve what happened want to achieve. These people are not elected and they’re not accountable to anybody. We don’t know who they are. We know them by terms: deep state, the intelligence community, what have you. But we don’t know who they are. We don’t know who their bosses are. So the effort that they have been engaged in, that could be exposed, and the techniques that they have used to try to undermine (if this is the case) a presidency, at some point could be exposed. But unless they happen to work for a Republican, they’re never gonna be identified, and nothing is ever gonna happen to ’em. They’re gonna be protected like Dan Rather was protected after he got caught making up a news story about George W. Bush. This is why “drain the swamp” and Trump’s pledge and promise to do it remains something that’s very important to do.